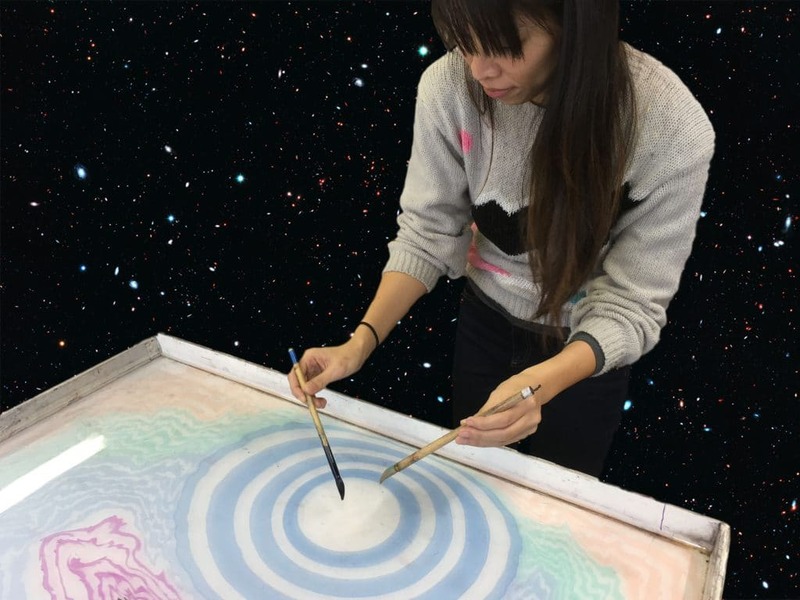 Linh My Truong is an interdisciplinary artist and educator working with video, textiles, and ceramics. Through her exploration of the Japanese marbling art of suminagashi and the slow process art of weaving and embroidery, she finds a place between chaos theory and an ordered universe, fragmentation and identity, detachment and control. She is interested in the use of creativity as a catalyst for personal healing and transformation and teaches textile classes in the NYC area and beyond.